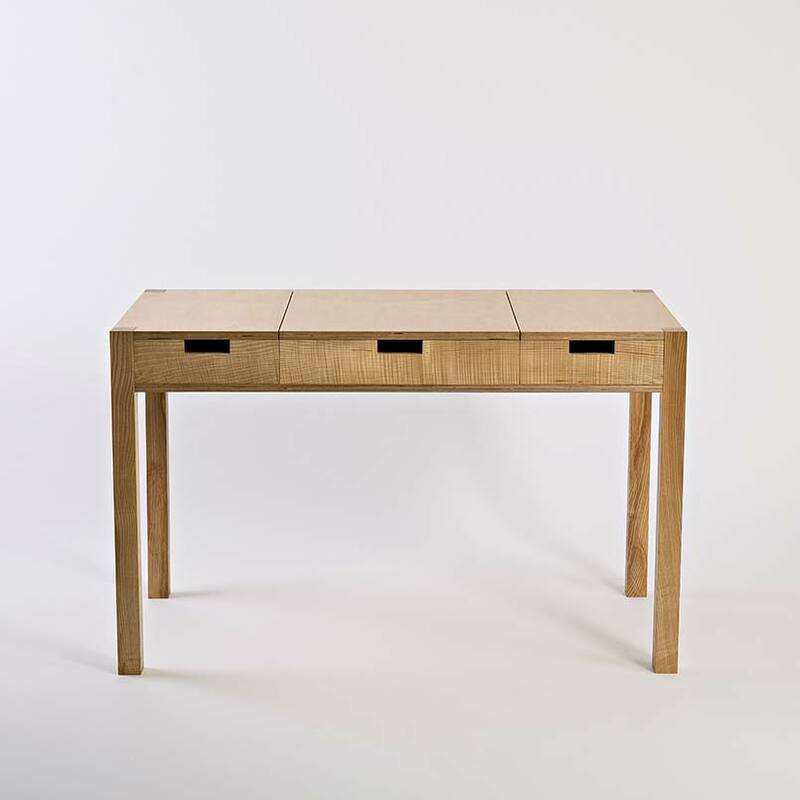 The desk dressing table converts easily from desk to dressing table by simply lifting up the central lid. This reveals a mirror on the lid's underside and a compartment for storing make-up and dressing items. There are two drawers either side for storing the desk items. The drawer handles are simple rectangular cutouts. 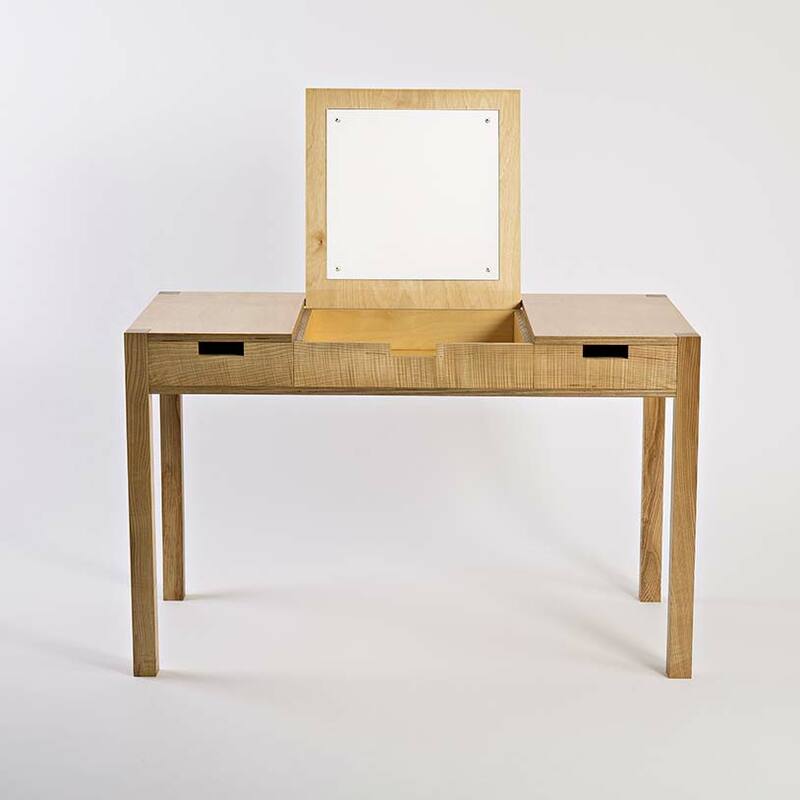 The desk dressing table is made from beautiful wild Irish ash and a high quality birch multiply. The finish is a hardwearing, natural, hand rubbed oil. Dimensions: height 74cm, width 120cm, depth 60cm. Each desk dressing table is made specially to order. Please contact Colin to discuss any custom requirements and expected delivery times.